Orthorexia has been getting a lot of attention as of late–within the eating disorder field–and even in mainstream media. As an eating disorder professional, I am thankful for the press that this condition has been receiving – mostly because orthorexia is a big deal. While many people living with this condition may report that it started off as a positive way to improve their health, for those who have the biological, social and psychological precursors for developing an eating disorder, these seemingly innocuous lifestyle changes can actually have very opposite effects. A fixation over the quality of food: This is really at the core of orthorexia. Individuals living with orthorexia are extremely focused – and often obsessive – over the quality and purity of their food. Individuals with this condition often limit “go foods” to those that are organic, farm fresh, whole, raw and/or vegan. The quantity of food is typically less important than that quality. Inflexible eating patterns: Someone with orthorexia is likely incredibly rigid with their food consumption. Anything considered by the individual to be “bad” or “unhealthy” will likely be avoided. A common example of this inflexibility is if someone with orthorexia were stuck on an island, and the only food available to them was something that they have deemed “unhealthy” they would choose to eat nothing. Severe emotional turmoil if “rules” are broken: If someone strays from their rigid eating patterns, or from their strict self-prescribed exercise regimen, severe anxiety, distress, shame, guilt and/or depression typically follow. Cutting out entire food groups: This certainly tells you how rigid these orthorexia-fueled rule-based diets can become. Elimination of entire food groups is a common occurrence for this population of people, commonly including processed foods, sugar, meat, dairy products, carbohydrates and/or gluten. Constant worry about sickness or disease: Back to the whole “good” versus “bad” foods – many individuals with orthorexia believe they will fall ill if they consume foods that are not “whole” or “clean” often considering these foods to be “poison.” To them, the risk of these foods causing sickness or diseases – although mostly unfounded – far outweighs eating that specific food. Anxiety simply being around certain foods: Someone with orthorexia might feel an intense need to separate themselves from their forbidden foods. They may feel incredibly uncomfortable or leave a room if that food can be seen. Unfortunately, isolating is a common avoidance technique for those with orthorexia–skipping social events that will have “fear foods”—often leading to depression and intensified thought disturbances and behaviors. Loss of weight: Although weight is not necessarily a clinical marker of orthorexia, some cases do involve weight loss. An orthorexia diet is an unbalanced diet that often results in malnutrition. While someone with orthorexia may feel as though cutting out certain foods will bring immense health benefits, they are often doing quite the opposite–depleting their own nutrition in vastly limiting food variety. Again, this weight loss is typically not intentional. Although orthorexia is not an “official” eating disorder in the DSM-5, it can be just as clinically significant as any of the other disorders featured in this manual and can have severe physical and/or mental health repercussions. If you or someone you know have experienced any of the symptoms above, prompt attention is necessary. Learn more about the specialized treatment for orthorexia that is available today. Kimberly Wick is responsible for the clinical, administrative and financial operations of Walden’s Braintree location, in addition to staffing and collaboration with local healthcare providers, community leaders and educators. Most recently, Wick was the program director of Walden Psychiatric Associates, coordinating the expansion of eating disorders and mental health outpatient services across New England. She also served as an admissions clinician for Walden, conducting clinical assessments and recommending proper levels of care for thousands of patients. She was also an Admissions Clinician at Walden, conducting clinical assessments for patients, leading group and individual supervision to pre-licensed clinicians and developing new training and on-boarding procedures. Prior to joining Walden, Wick was a licensed mental health clinician at MHM Services, Inc., MCI-Framingham State Prison. 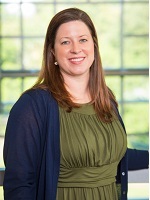 Ms. Wick attended Miami University, earning her undergraduate degree in Anthropology and graduated from Boston College with a Master of Arts in Counseling Psychology. She is a member of the American Psychological Association (APA), American Counseling Association (ACA) and the Massachusetts Mental Health Counselor’s Association (MaMHCA). Would a vegan fall under this definition? I would argue that they hit several of the criteria.